Sally phoned the caregiver when the PK Birthday request form arrived and began to win the trust of mothers and grandmothers, make home visits and provide support to vulnerable families. 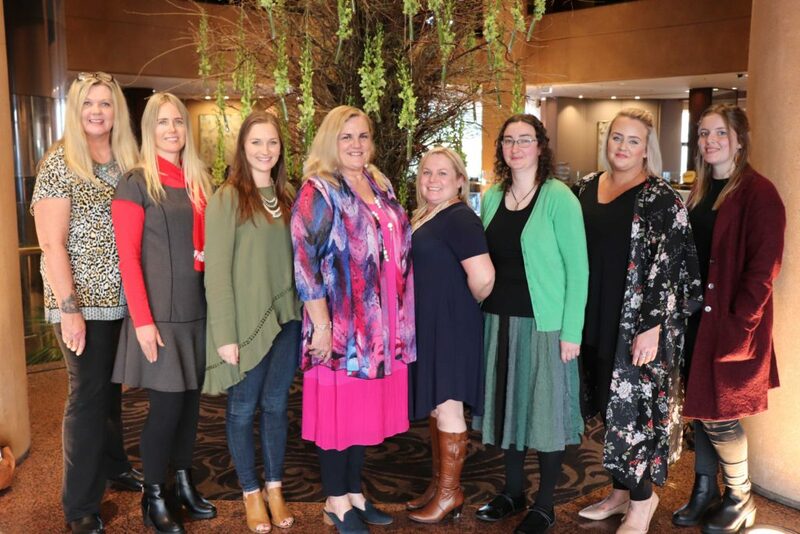 Left to Right: Sally Graham, Bec Schultz, Melanie Potter, Helen Glanville, Cheryl Pollard, Erica Southern, Sarah Kaine and Beck Sellars. (Melinda Eckert not pictured) at a special reunion of PK Family Care workers. 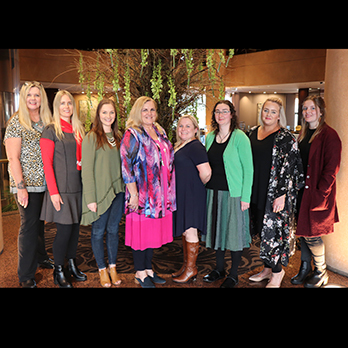 Since then we’ve employed nine PK Family Care workers who together have contributed 20 years of service in Spring 2018. A big thank you to the reunited team and may more early interventions be possible for many years to come. Previous Post Wedding Dress Super Sale! Next Post Pop-Up Wedding Dress Sale!